I see and have helped a lot of women Clare’s age who are worried about premature facial ageing. 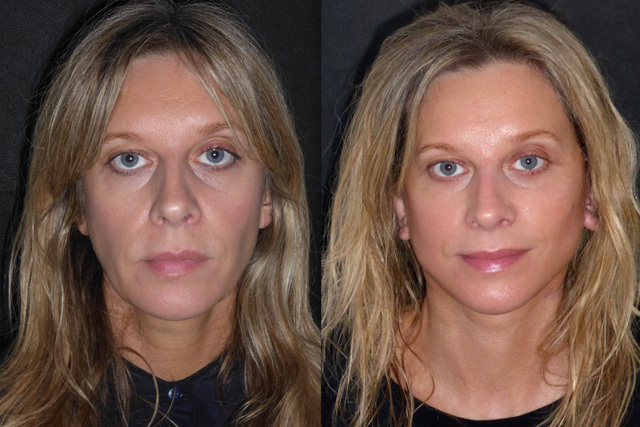 I am so grateful to Clare for giving me consent to share her story here as I hope it will show that facial rejuvenation surgery can be a real solution for patients in a younger demographic. 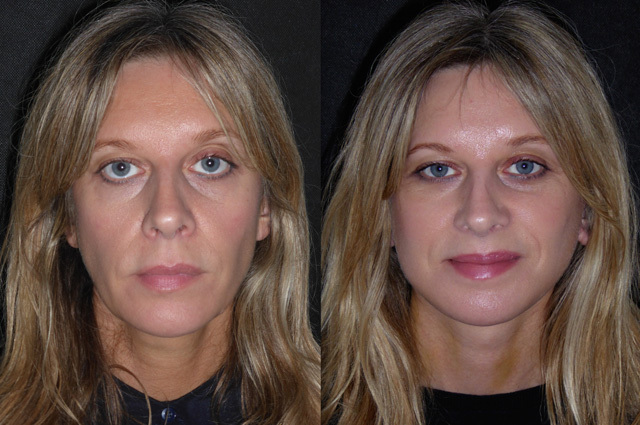 The mainstream marketing to Clare’s age group heavily focusses on radio frequency and ultrasound based devices which in my experience do not achieve the results suggested, and worse, the current vogue for thread lifting, which I don’t do and never will as I see 5-10 patients a month with ineffectual or sometimes disastrous results. 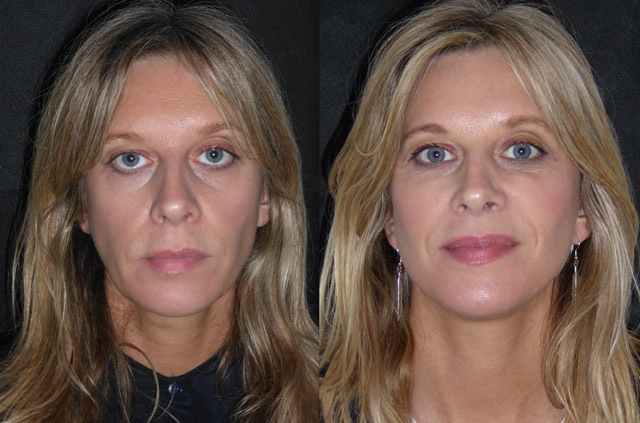 Clare had had a previous lower eyelid blepharoplasty leaving her eye shape rounded and pulled. 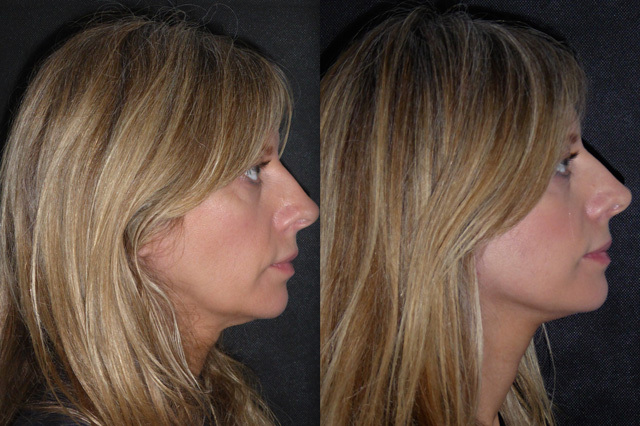 She also had significant skin and SMAS laxity with mid facial hollowness, jowling and neck laxity. 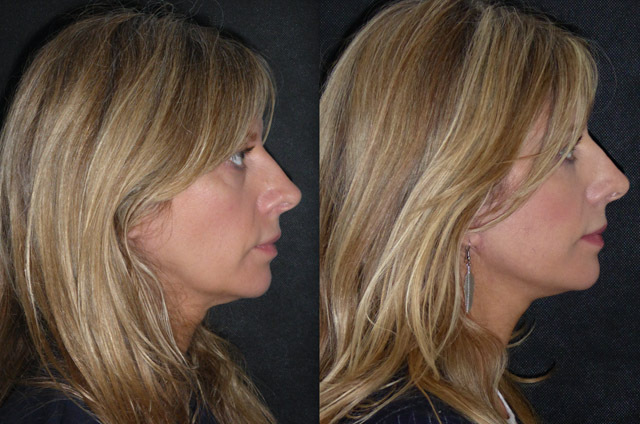 The face and neck lift I have developed I felt would be the solution to both these concerns. Here is her story. 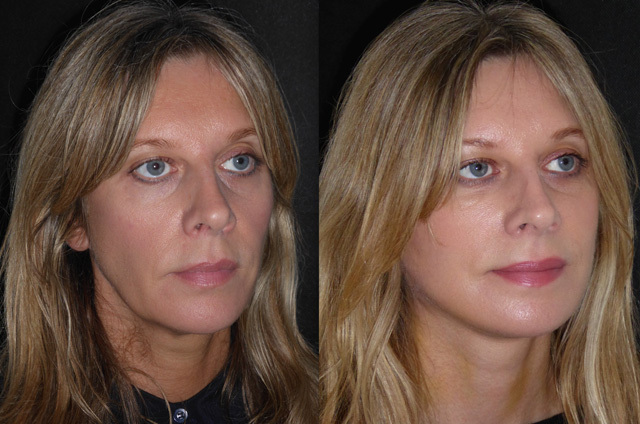 Here is Clare the morning after her face and neck lift under local anaesthetic and sedation. Barely a bruise on her face but a little swollen. Already I know she is going to have a phenomenal result. 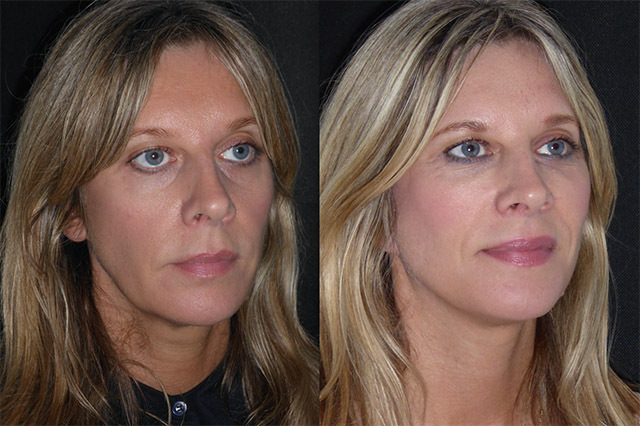 Her mid facelift has addressed the lower eyelid pulling and mid facial hollowing, the lower face and neck lift her jowling and neck. Really looking forward to seeing her progress over the coming weeks. 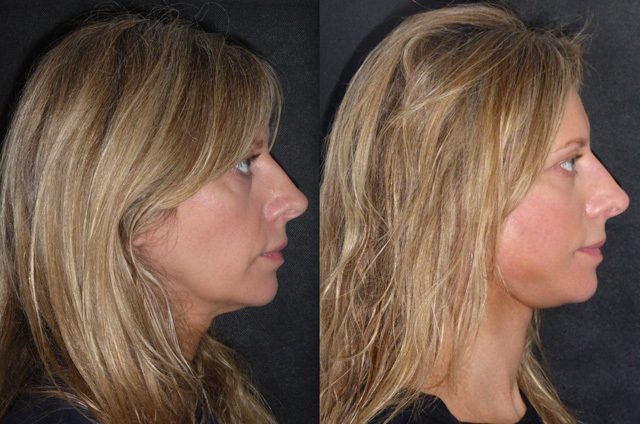 7 days after her facelift Clare has the result she wanted. She goes back to work in 3 days and will look like the person she feels. She looks just gorgeous. Her natural eye shape is restored, her hollowed mid face revolumised and her jawline is perfect. The smallest of bruises low in the neck will be gone by the time she is back at her desk. Had she gone down the energy based “skin tightening” machine route she would have paid a third of the cost of this surgery but told to wait months for the result that would be nowhere as good and that is if it worked! 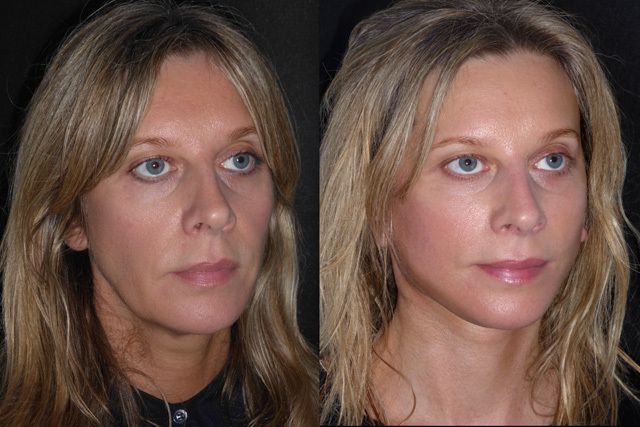 I should say that my practice is probably biased as I see the patients who are dissatisfied with these non-surgical treatments and seek my help having explored other options, there may be lots of happy patients out there but the results that I have seen from thermage et al. ( I once bought a machine... ) are barely noticeable. Clare is back for review having had a pretty horrible time with gallstones and has lost a lot of weight. Despite this she looks great. Her scars are healing really well and will be imperceptible in a few months. 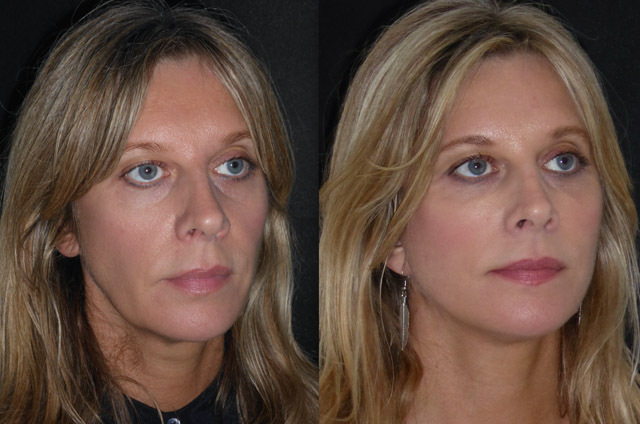 Her facial volume and eye shape are restored - Clare and I are a similar age and I wished I looked as good! The weight loss and resolution of swelling has made her lift relax a little but this is expected in the first few weeks even without illness. Where this shows most in Clare is under her eyes. 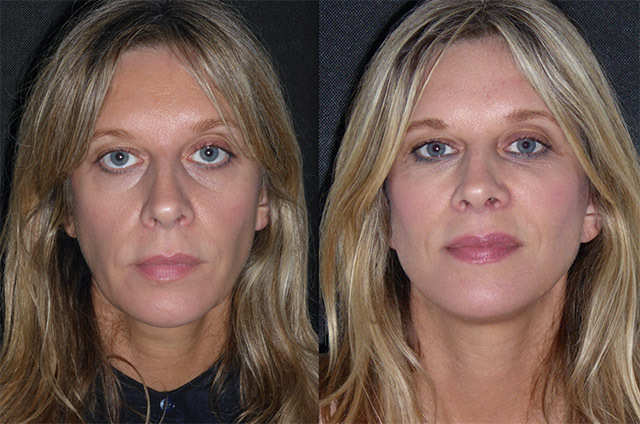 The fat removal from her previous lower eyelid blepharoplasty was pretty radical leaving very little volume to support the lower lid. 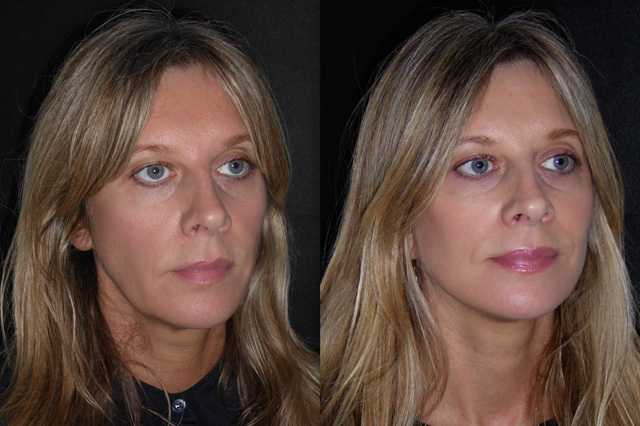 The mid facelift has helped but Rebecca will correct this further for her in the coming weeks with hyaluronic acid filler injections to her tear troughs and palpebromalar (lid-cheek) junction. At 3 months out, Clare looks fantastic. 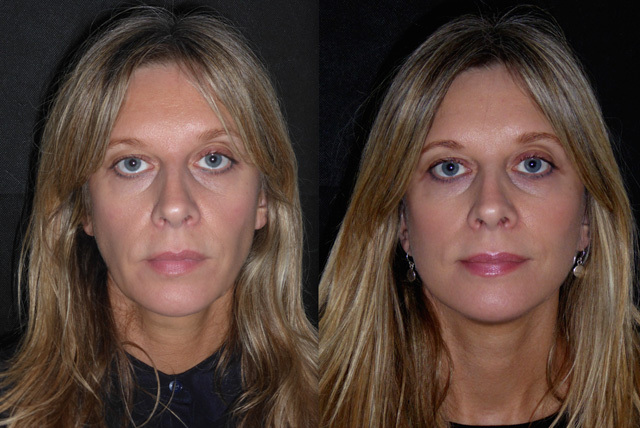 Rebecca has filled her under eye hollows which really finishes the result from the face and neck lift. The scleral show (white area below her blue iris), caused by prior surgery and mid facial descent, has now been rectified. 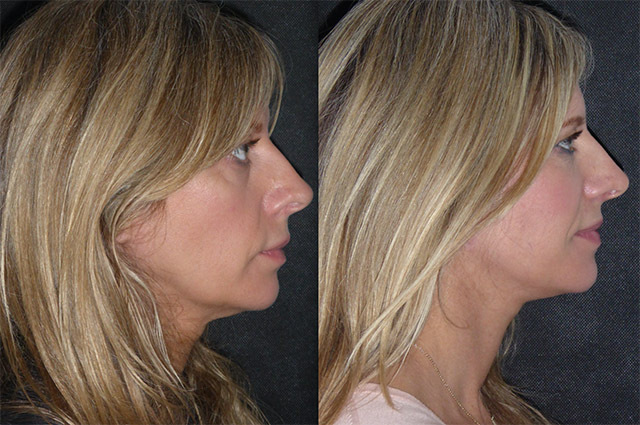 Her loose facial soft tissue has been tightened leaving a sharp jawline and balanced face. Great result for a lovely girl. Just over a year after her Surgery, I saw Clare today as she visited Rebecca for maintenance treatments. She continues to look just fantastic. It is hard to believe this is the same girl in the before photos! 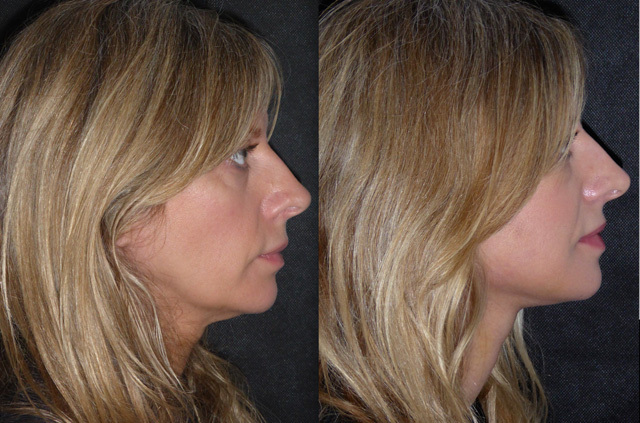 Her mid face lift holds beautifully to support her lower lids and those jowls show no signs of reappearing anytime soon. I am so happy for her. What a beautiful girl inside and out.